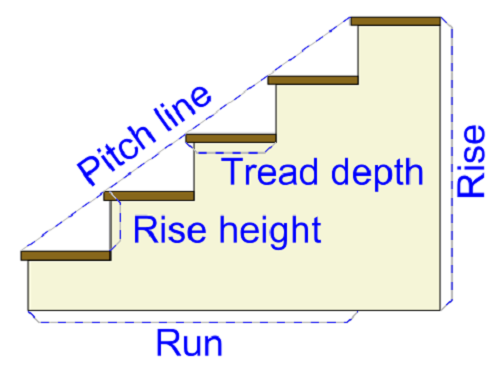 What would you do in case of a RCC staircase having cracks? The development of cracks occurring in RCC staircase is one of the major problems to deal with in RCC construction. Before we go to the ultimate solution of the repair of cracks in a staircase, I would want all the students to know that, “Design in a way that you would never have to look for solutions”. This is an important matter. The graver the problem, the harsher and shorter the solution is…. Earlier, in one of my article, I have explained the “Design of RCC Staircase”. Please do go through before designing…. Like I said before, the graver the problem, the shorter and harsher the solution…. In case of minor cracks (surface cracks) occurring in the RCC staircase , the cracks can be filled up with the help of plastering. Surface cracks are not very harmful to the structure. They only result in marring the aesthetics of the built space.